Super charge your body with TRAC! The body naturally manufactures Nitric Oxide in small doses, these small quantities become more regular when we stimulate the muscle mass with physical exercise, but even so this is very limited and not constant. We barely feel any additional benefit as these quantities do not manage to stimulate the body to produce any significant change. This is why it is of great help to supplement our body with products that increase the amount of NO in our body in a more stable, intense and constant manner. TRAC EXTREME-NO has been conceived with Nutrofolin-ATM™ technology, with which blood flow is increased together with the optimal supply of nutrients to the muscle to help it grow more, achieving brutal congestions and incredible energy levels. 4g of Creatine Monohydrate that will improve endurance, strength and sporting performance. 2,5mg of NADH, it will stimulate energy production. Nutrofolin ATP™ technology that translates into extreme muscle congestion. 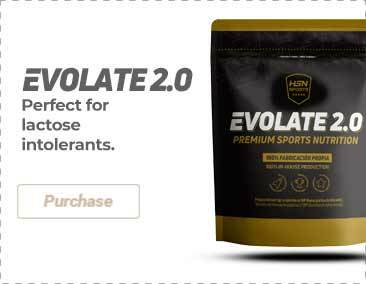 -Nitric Oxide (NO), Creatine and ATP precursor molecules (pure energy for the body), which enables you to reach maximum capacity to deliver nutrients to your muscles, from when you start exercising to the minute you finish. -Maintains a prolonged supply of Nitric Oxide throughout exercise, so that you never lose your exercise performance levels, increasing your strength, energy, recovery, pumping up your body, improving your physical capacity by hours. Citric acid, natural and artificial flavors, guar gum, acesulfame potassium, sucralose, E129. Take one tablespoon with a glass of water (250ml) 30-45 minutes before training. For maximum results, also take on the days you do not train in the morning.